Where to get the best ice cream? 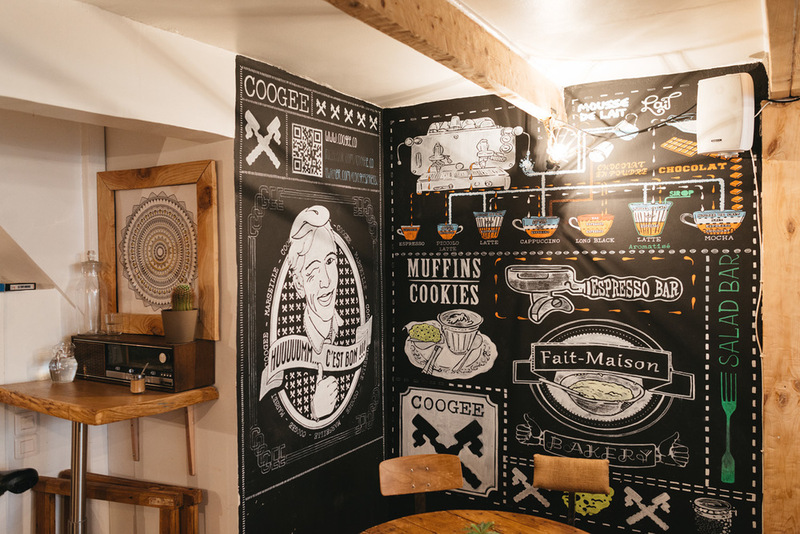 Where to find the cutest coffee place? How to rent bikes or where to live? 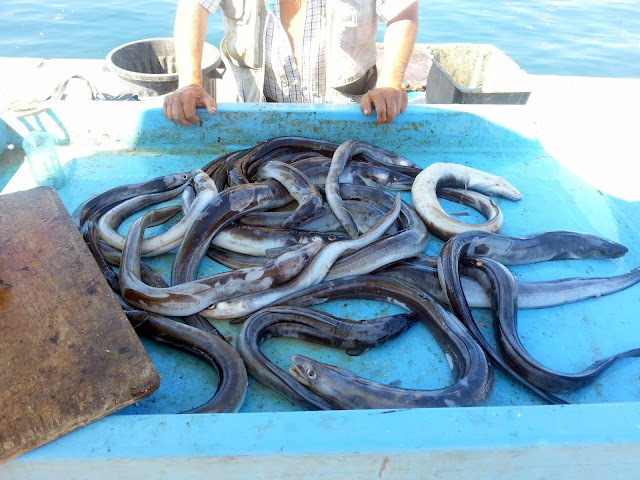 That´s exactly what you will find in this article HERE. Best Chai Latté and caramel muffin in town. 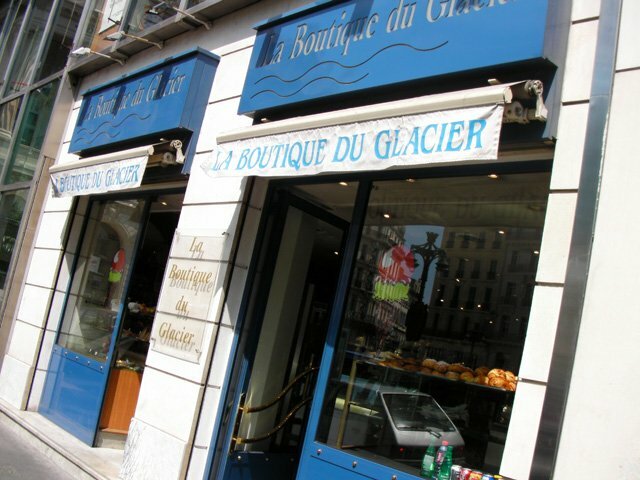 Average patisserie with various types of desserts, macarones and ice creams. It has a home-like décor with a careless setup. Absolutely best bagels, amazing staff and tasty, refreshing home-made lemonade. A great place with very nice people taking care of the place. You are served by a mother, daughter and son. They prepare absolutely delicious bagels here. You can sit both inside and outside. If for nothing else, you should come for the staff. The “Mother” was full of positive energy and you could tell she loves her job. Great ice cream, in the shape of a rose, and a beautiful view of the Old Port. 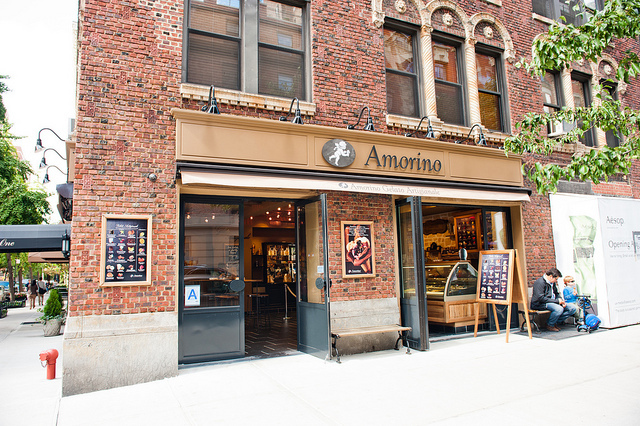 Ice cream is a little bit more expensive, but that’s most likely due to the location and the name Amorino has built by now. So if you visit Marseille, I definitely recommend stopping by Amorino for one rose-shaped ice cream, sit at an outside table and enjoy the view of the Old Port. 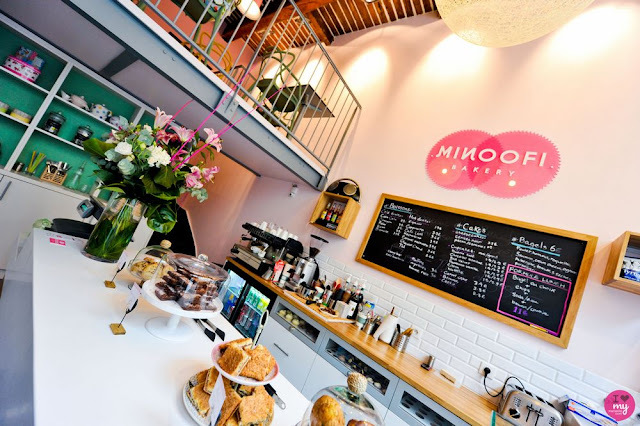 A fascinating small coffee place close to the city center, in pastel colors, which add to the overall cozy feel. 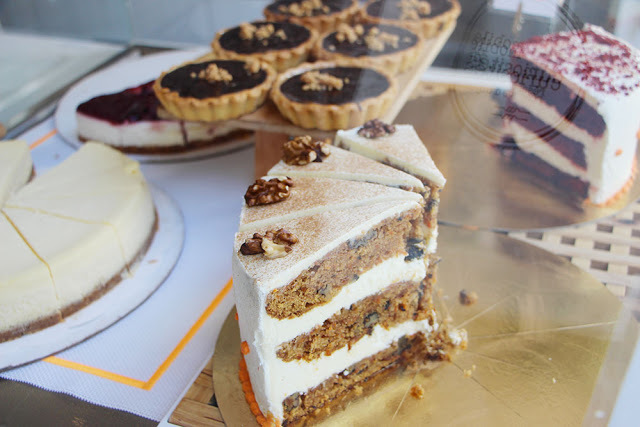 Staff is very friendly, cakes exquisite, both in view and taste. You will find here various cakes, cupcakes, sweet bread and sandwiches. And of course you have coffee, tea and home-made lemonades. 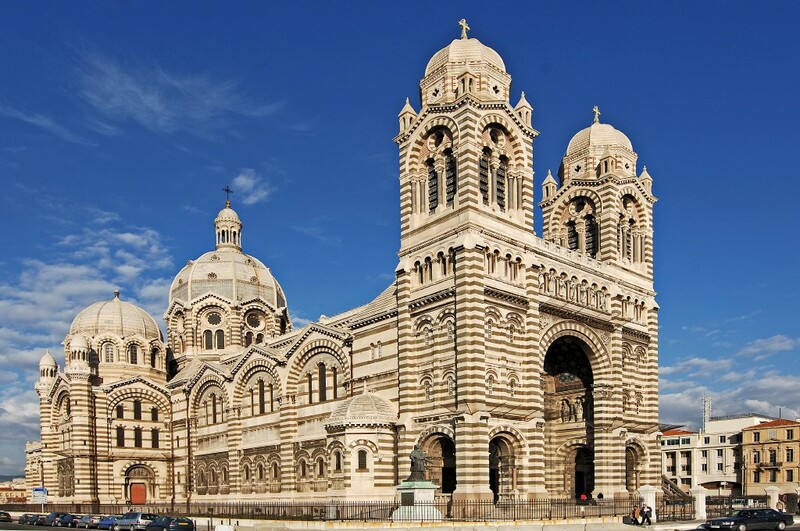 If I go to Marseille again, I will definitely come here. We were really sad to find this place only on the last day. This restaurant is located on the If island, where a ferry takes you every 30 minutes. 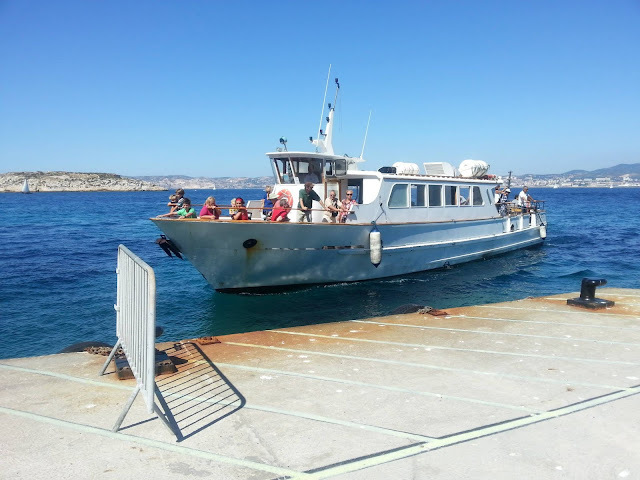 The Island is a beautiful place and the ferry trip is a very nice experience. What we liked the most is a small restaurant called Marseille en face. 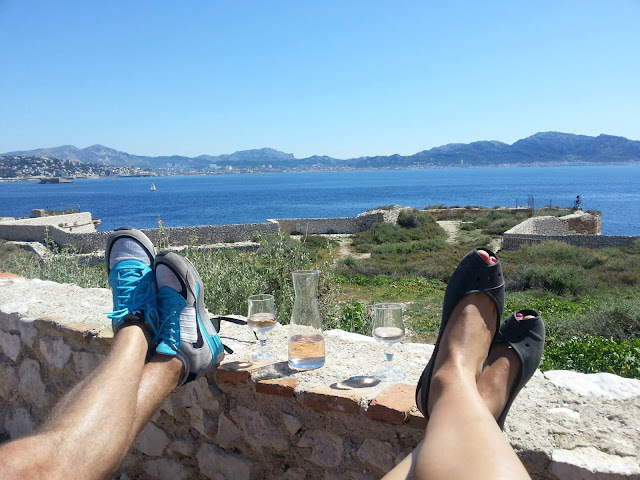 We bought a carafe of home wine, took two wine glasses and sat a few metres away enjoying a beautiful view of all of Marseille – hence the name “Marseille en face”. The restaurant also offers a few meals and desserts. 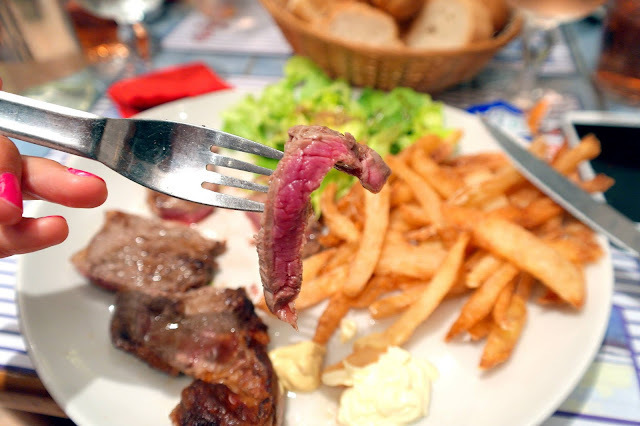 If you´re looking for a family restaurant, then you definitely have to visit Chez Sofie. We stumbled upon this restaurant by pure coincidence. They offered a menu for 15 EUR which included a starter, main dish and a dessert. Sofie is the cook and her brother the waiter. Both are very nice and you can see that they really enjoy their job. Food looked nice, very home-like and tasted great. So if you´re not looking for anything fancy I really recommend this place. It is located about 15 minutes’ walk from the old port. 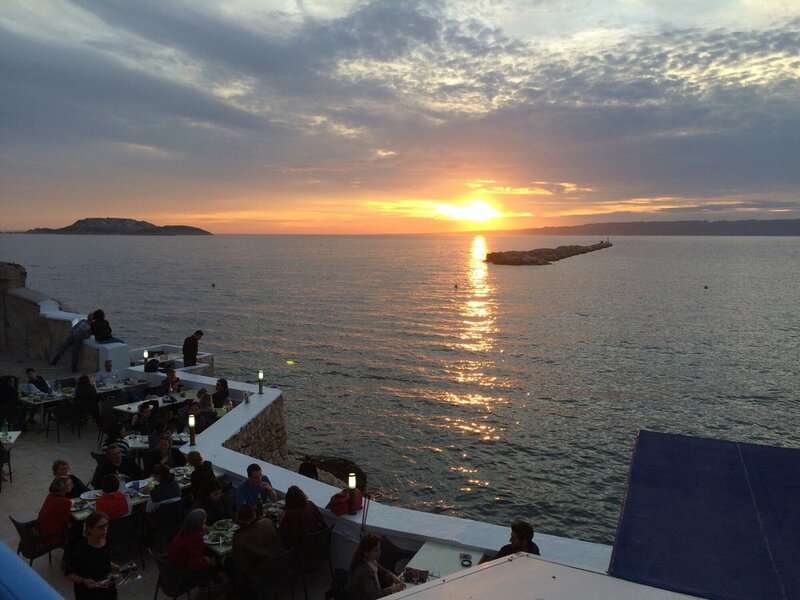 This restaurant, beautifully set upon the sea shore, offers a breathtaking sunset view with a good meal and wine as company. Something a true romantic person just can´t miss. During the day it is not so nice, although it offers its own sea entrance. 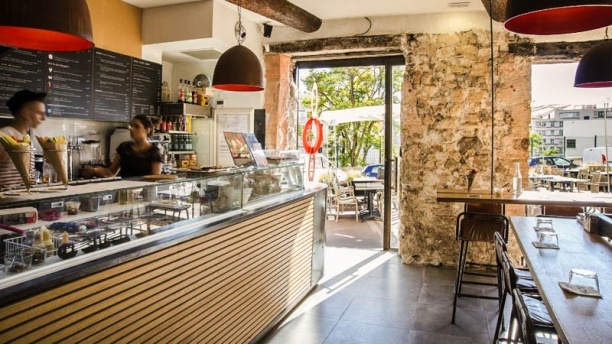 Every time we come here we have some mussels, which are prepared in 4 different ways, and have a carafe of homemade rose wine – so typical for southern France. If you´re looking for a nice restaurant for an evening date – this is the place. Mussels cost 14 EUR and home made rose wine 0,5l – 8 EUR. A really huge place that looks like it is drawn, rather than real. 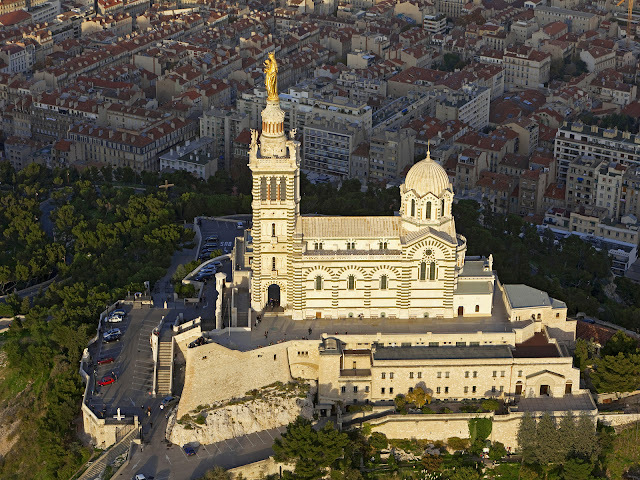 It is probably the most dominant sight in Marseille (apart from the Notre Dame de la Garde). It is located just a few minutes’ walk from the old port and (before-mentioned) Dunk bistro. It consists of the old and new building. The old one has massiive historical walls where you find people sitting both day and night. In the evening it becomes a place for dates, picnics for both young and old pairs. 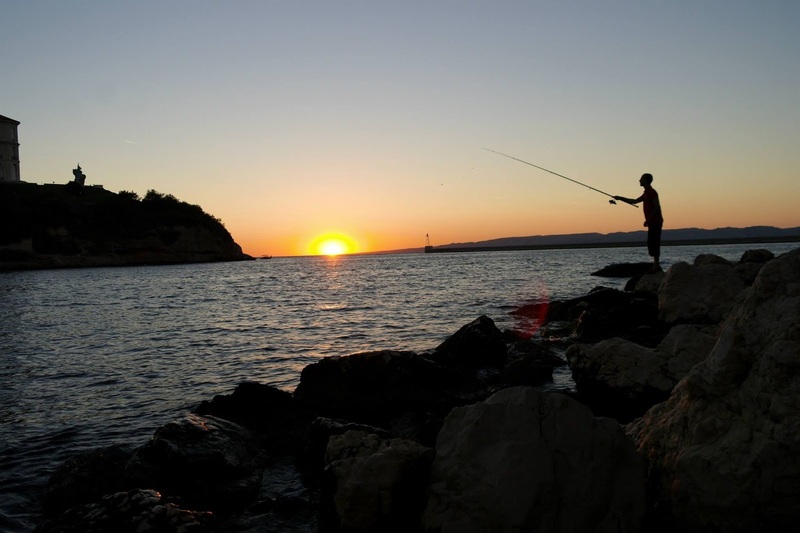 Everyone is enjoying a romantic sunset or just watching fishermen trying to catch something good for dinner. 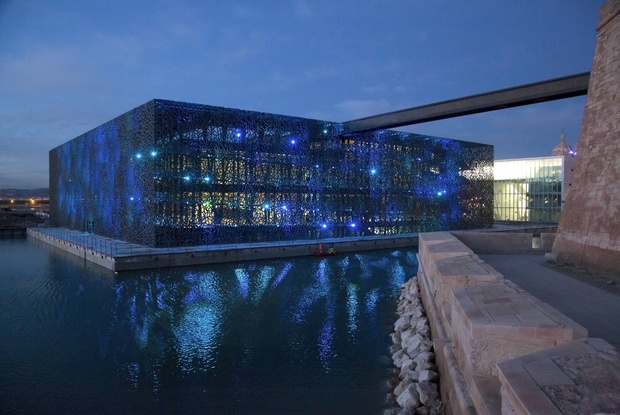 This is definitely the most romantic place in Marseille. 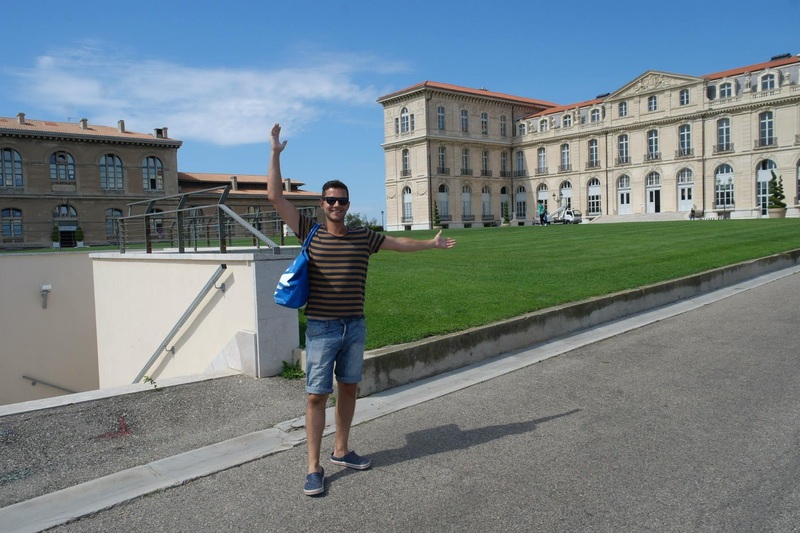 A huge historical mansion with beautiful gardens and the view of Old and New Museum and the Old Port. This is a place made for picnics. Unfortunately, the gardens close in the late afternoon and you therefore miss an opportunity for a nice sunset. However, it is definitely a place to visit. Everything is clean, the grass is carefully trimmed and you can just lie down and relax. An unforgettable view. Although you have to go up a steep road, you simply have to do it. You can go both inside or just sit outside on the benches, surrounded by lavender and enjoy the view. 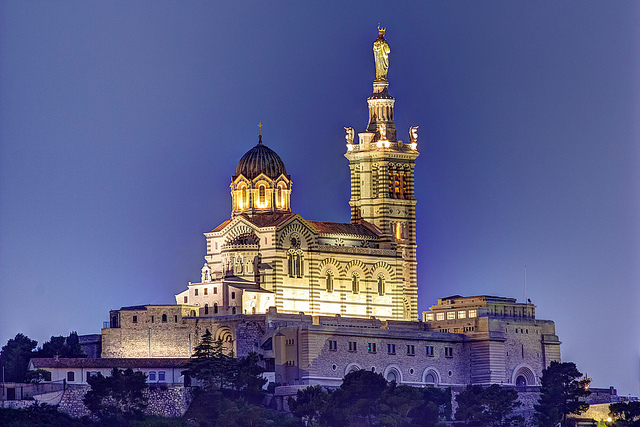 You can see Notre dame de la Garde from almost anywhere in the city centre and you would definitely feel like you missed something if you don´t come here at least once during your stay in Marseille. Every morning small boats arrive here and bring fresh fish. It has the authentic smell and atmosphere. Old port connects with the main square, where you can meet various street artists playing various instruments or singing (or both). What we enjoy the most is to sit at the sea side of the square, throw your feet down the port side and just watch the sea and the boats. 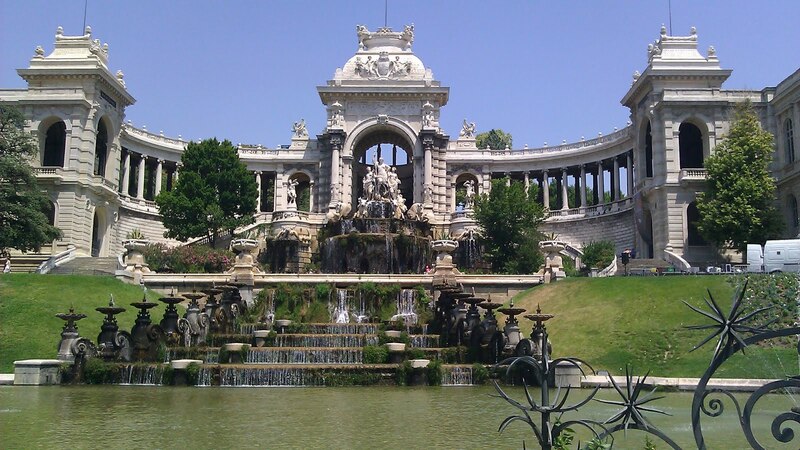 Apart from the fountains you see in the photo, you will also find a “fake” ZOO in these gardens. It’s a nice park with large animal statues. But the other part with the mentioned fountain walls is what really makes you stand in awe – although a little bit neglected, still has its charms. Be careful. When you buy the tickets for the ferry, you have to buy it including the entrance. Otherwise they will just get you to the island, but you will have to stay at the entrance and only wait for the trip back. Tickets itself costs 10 EUR and the entry another 5 EUR. But its really worth the price. This is really great. 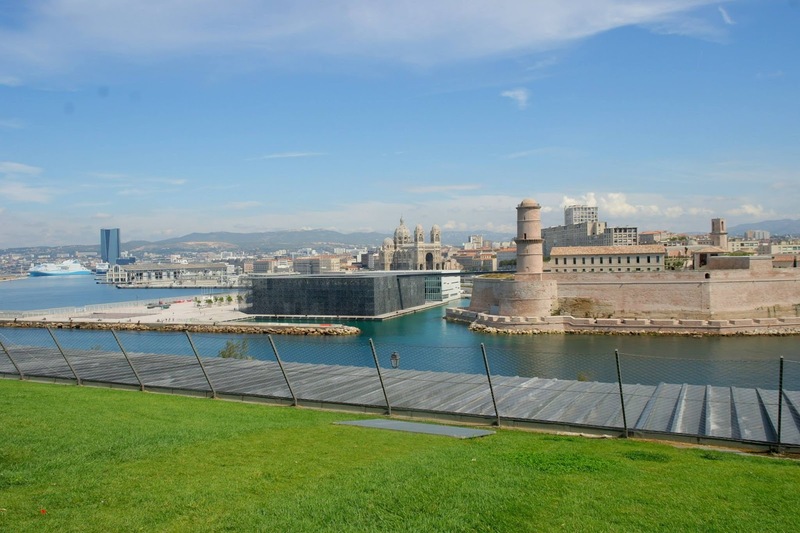 For just one Euro for a week, you can have unlimited access to bikes all around Marseille (with a small catch I´ll explain later). Over the internet (http://en.levelo-mpm.fr/) you can buy yourself a PIN Code, which you then enter on the machine by the bikes. You can find the map of all rental places on the same webpage. After entering the PIN you choose which bike you want and then just with a press of a button on the stand unlock your ride. Officially, the bike is for 30 minutes before you are charged extra (that’s the catch ;) ). But if you stop every 30 minutes and reset the timer, you can ride around as long as you want. Everyone does it like that so no worries. Using the map fo all rental stands you can plan your trip ahead. And don’t worry about safety. 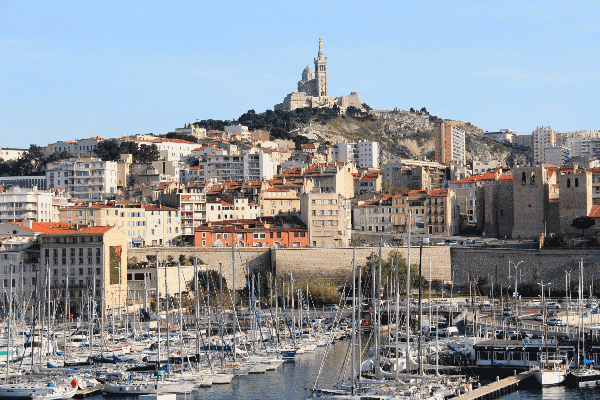 Drivers in Marseille are more than used to all the “bike traffic” and give you enough space and time to be safe around city. You can also use the sidewalk, but be careful not to offend pedestrians. Anyway, you can use bike anywhere around the city, especially on the sea side. I don’t recommend going into the city since 1st there´s nothing to see and 2nd the stands become more and more scarce. You have several shopping malls here. The one we like the most is called Terrasses du Port. There´s an amazing view from the roof. You definitely have to come see it. The best timing is when a huge ferryboat passes by, barely 2 metres away. Suddenly you realise how huge these ships are. And then you also have the shopping street – Rue Du Paradis. There you will really find everything you know from all around the world. 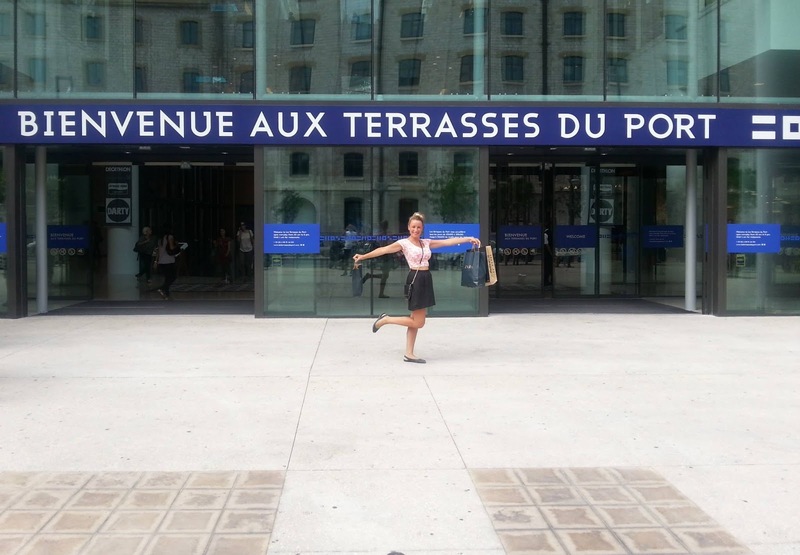 It´s just a short block away from the Old Port. However, if you watch my VLOG 6 from Marseille then you will see a little path we found from this beach over some rocks, that takes you to a nice spot with the cleanest sea I have ever seen. What many people say about Marseille is that it´s an ugly and dirty city. This is the information we arrived with the first time. But we quickly found out that it was only half of the truth. Yes, its dirty, but only if you go deeper into the city. If you stay close to the sea, it´s clean, tidy and pretty. The first time we live in the 1st yellow circle (I mean on the map :) ) It´s kind of a business part, where the only people you meet everyday are suits and business people going to and from work. It´s very clean there and quite new. And you can even come here on bikes since not far away you can find several rental stands. 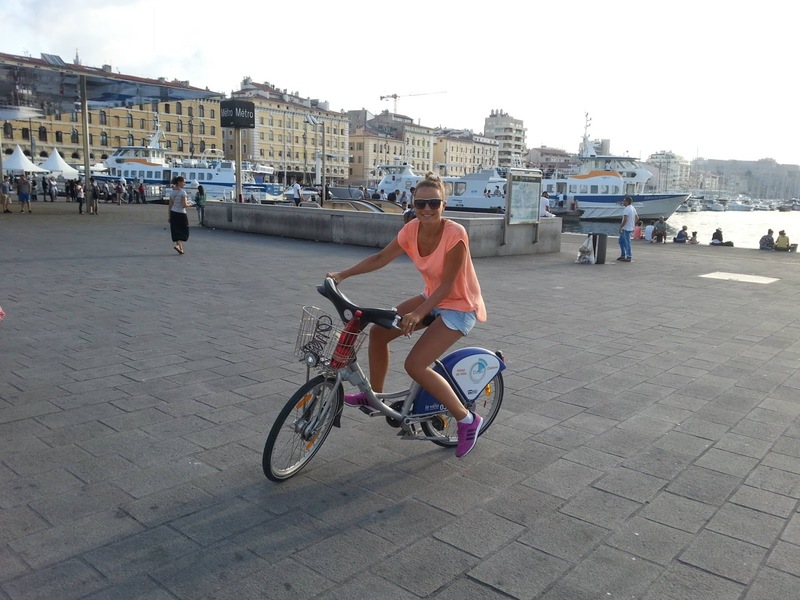 You can reach the city centre or the Old Port in about 10 minutes by bike or 20 minutes walk. The second time we lived in the blue circle :) On the map it looked like its closer to the city centre and we therefore weren´t afraid that it would be dirty or dangerous. And it was quite nice and clean, but on the way to the sea we had to pass a problematic part, which was really dirty, stinky and we didn’t feel very safe. Especially in the evening on the way back. It almost ruined my holiday. 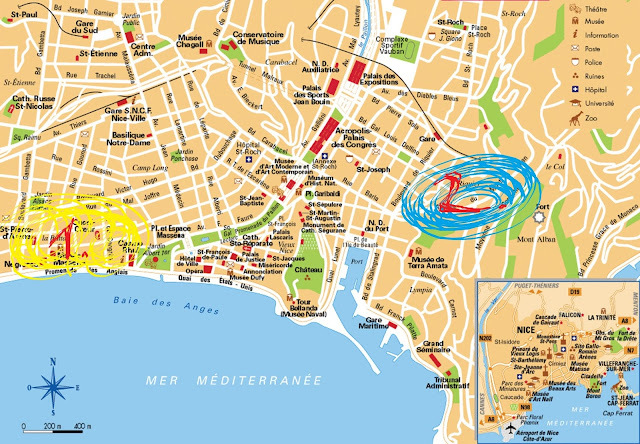 Therefore, if I can recommend, try to stay by the sea or closer to the yellow circle. Well, that’s all there is to it :). If you have any questions or would like some advice, don´t hesitate to write me. Have a nice day and I wish you a nice holiday! 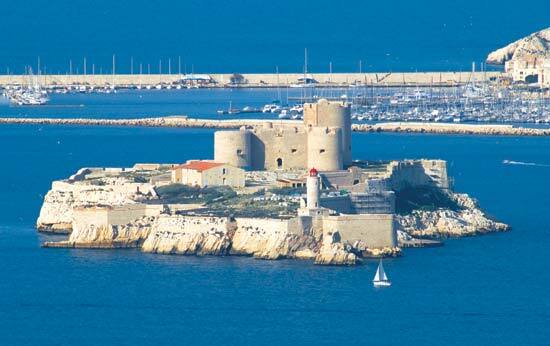 Ahojky, můžu se zeptat,na jak dlouho jste do Marseille jeli? 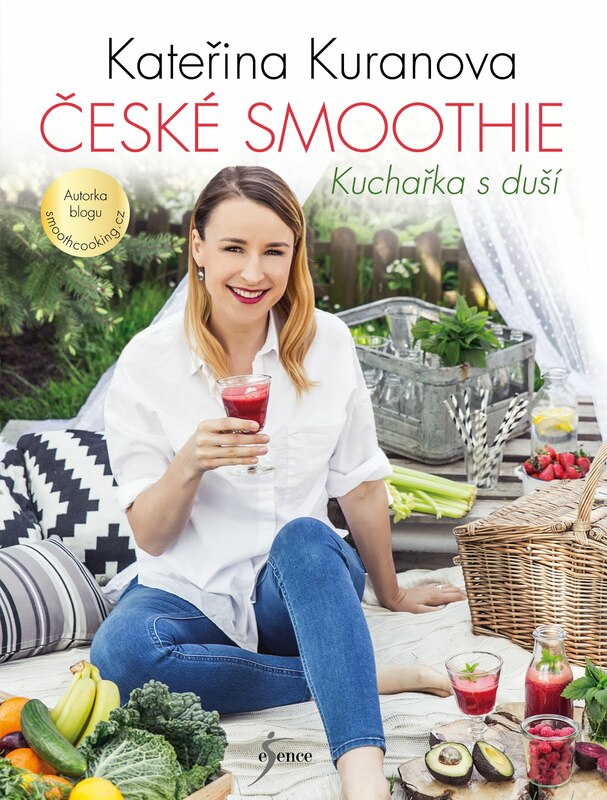 Spojili jste to s dovčou nebo spíš prodloužený víkend? Děkuju moc :-) K.
Jednou jsme letěli přímo tam na 12 dní a podruhé jsme letěli tam na týden a pak vlakem přejeli do Nice a tam byli další týden a odtamtud jeli do Prahy.